HAMMON, La. 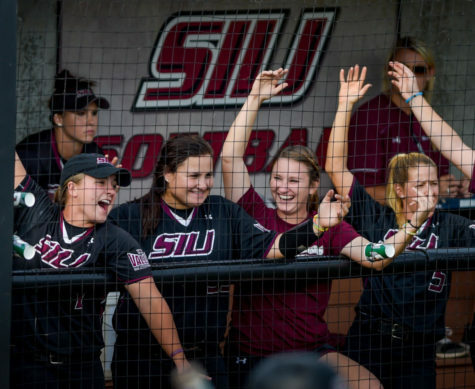 – The SIU Women’s Softball Team kicked off their season this weekend in Hammond, Louisiana as they played in Southeastern Louisiana’s Lion Classic. 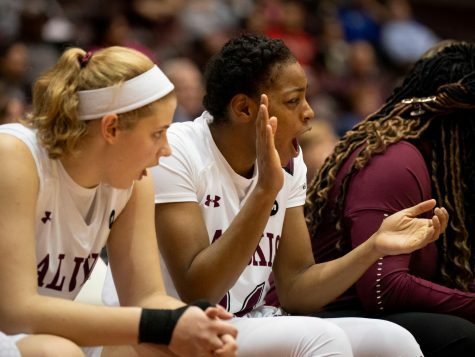 The Salukis played five games over the course of three days, winning three of the five. Friday marked the first day of competition in which the Dawgs took on Nicholls State and host team Southeastern Louisiana. 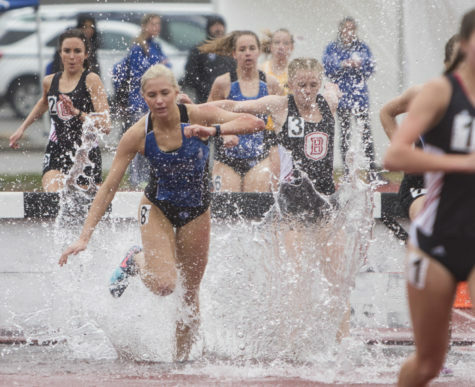 Day one proved to be tough for the SIU women as they went 0-2 to kick off the classic. In game one, Southern took on the Nicholls State Colonels losing the game 9-0. Senior pitcher Brianna Jones started the game for the Salukis, but was subbed out after allowing two runs, two hits and two walks in 1.1 innings of work. Her substitute came in the form of sophomore Holly Marousek who came in during the second inning and pitched the remaining innings of the game. She allowed seven runs on six hits in her first game as a Dawg. With the bases loaded, Nicholls third baseman Jewel Lara hit grand slam in second inning to send the score to 4-0. While SIU struggled to get on the board, walks sent two Colonel basemen home in the bottom of the fourth inning to extend the Nicholls lead to 6-0. Three more runs by Nicholls in the fifth inning sealed the Salukis’ 9-0 loss to their opponents. Unlike the first matchup of the day, game two was closely scored, hard fought battle amongst the two teams. 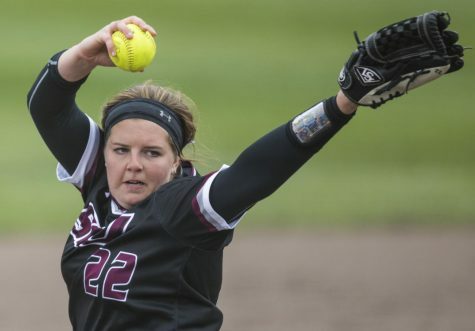 In this matchup against the hosting Lions, junior pitcher Claire Miller was the game changer for SIU. 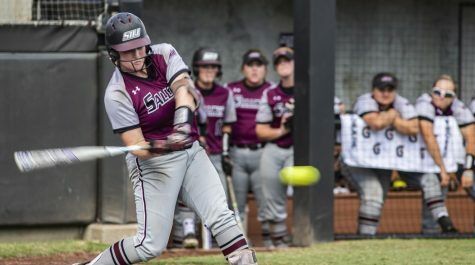 While game two was only Miller’s first career start, she was the star of the Saluki show as she gave up no runs in the first five innings only allowing Southeastern to complete three hits. The first three innings of the game were scoreless, but in the top of the fourth inning SIU junior Katelyn Massa hit a single to send her teammate, junior infielder Maddy Vermejan, home and put the Dawgs up 1-0. It took the Lions two more innings to get on the board, but it was worth the wait as they scored a two run homer to steal the lead at 2-1. SIU responded to this in the seventh inning scoring two runs on two doubles to regain the lead and make the score 3-2. At the bottom of the seventh, the Lions hit a two run double to take the final lead of the game and defeat Southern 4-3. 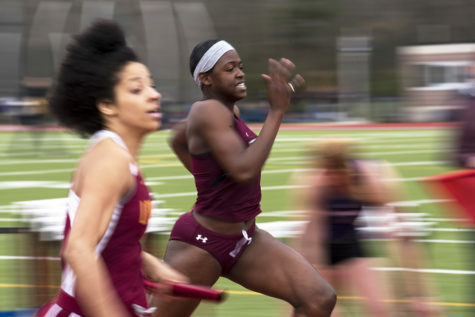 Saturday went extraordinarily well for the SIU women as they swept both of their competitors for the day to bring their record to 2-2. The Dawgs opened the day two of competition with an opportunity at a second chance taking on Nicholls State for the second time this weekend. The beginning of this matchup looked grim for the Salukis, as the Colonels led them 4-0 after just the second inning. In the bottom of the third inning the game began to turn around as two singles with the bases loaded allowed Southern to score three times. The third inning was closed on a stolen home base with two outs by SIU sophomore Meredith Wernig to tie the score up 4-4. Massa was this games savior as she completed another hit, a double down the center of the field, to score her teammate Jenny Jansen and give the Salukis a 5-4 lead. Massa went 2-5 on day two with four RBI’s. The next run for the Dawgs came in the fifth inning on a solo homer by freshman Ashley Wood. This run was her first as a Saluki and the first solo homer of the year for Southern Illinois. A walk from Massa allowed another SIU woman to cross home plate and their lead was extended to 7-4. The Colonels scored two more runs in the sixth inning, but Southern was able to hold them off for the remainder of the game to scratch out a 7-6 win. The San Jose State Spartans were Southern’s next sweep victims as the Salukis blew past them on a 6-1 win. The first two innings of the game were scoreless for both teams, but SIU took charge in the third scoring two runs off of a double by Vermejan and a single by Massa. The Spartans took over the next half of the inning scoring a run of their own to make the score 2-1. In inning five, the Salukis capitalized on San Jose mistakes and went on to score four more runs and complete their day with a 6-1 win. Brianna Jones shone for Southern almost pitching a no hitter game. Jones only allowed six hits and one run in the matchup. Southern truly saved its best performance for last in Sunday’s game against the Mississippi Valley State Devilettes. This matchup with Mississippi Valley was the Dawgs’ last of the Lion Classic. The Salukis blew past the Devils in their last game scoring 15 runs on eight hits. Six of the runs were scored just within the first inning. Scoring in the game was opened by Jansen as she hit her first career triple to send her teammate Susie Baranski across home plate. In the second inning, the Devilettes fought back and scored three straight runs on sophomore pitcher Holly Marousek. After these runs, Jones was subbed in to pitch for the remainder of the game. 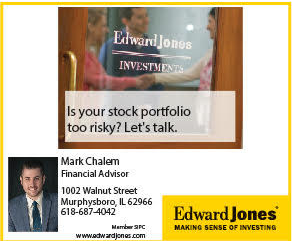 With Jones pitching, Mississippi Valley was unable to score for the rest of the game. Jones threw 16 strikeouts this weekend. 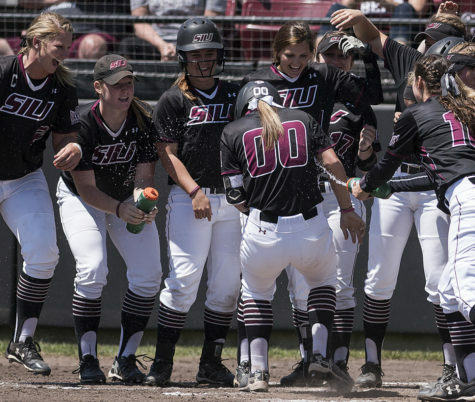 Batting through the lineup twice in the fourth inning, SIU caught fire scoring nine runs on two hits, nine walks, four wild pitches and one passed ball. 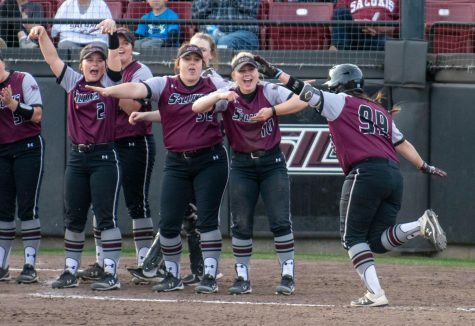 This amazing run by the Salukis pushed them passed the Devilettes to win the game 15-3. 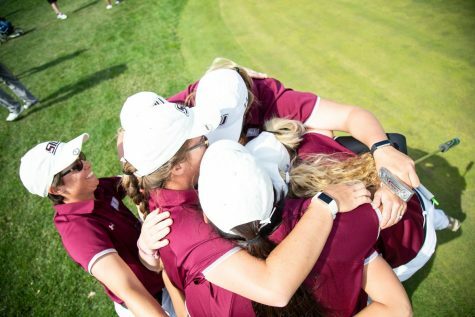 SIU Softball finished this weekend with a 3-2 record and will take the field again on Valentine’s Day at the Puerto Vallarta Challenge in Puerto Vallarta, Mexico.